Mon-Sat shopping hours extended via Route 113 from Edgware to Brent Cross Shopping Centre and Hendon (AE) allocation added. 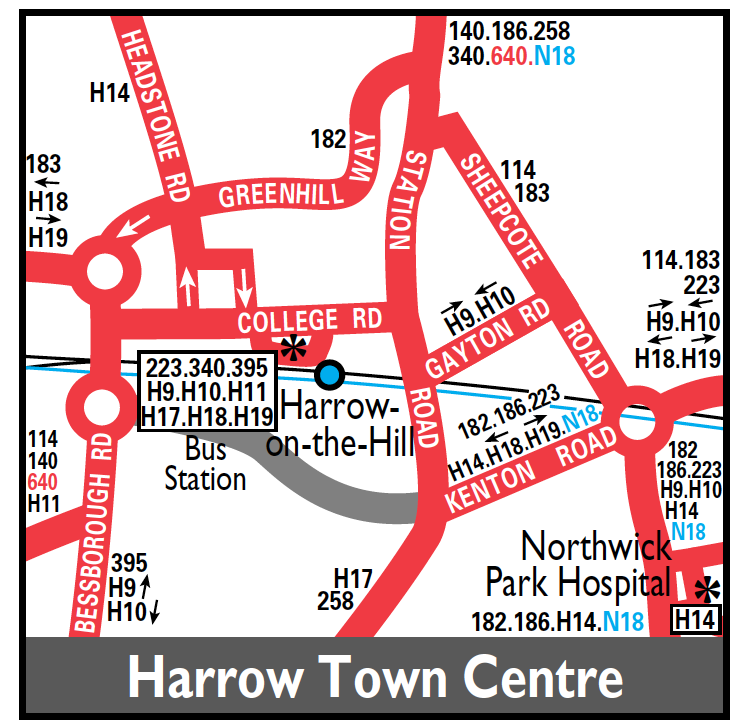 Daily extended from Harrow to Northwick Park Hospital. Low floor single deck buses introduced. Sunday shopping hours extended from Edgware to Brent Cross Shopping Centre. At Northwick Park Hospital extended to a full anti-clockwise circuit of the hospital perimeter Road - standing at the rear of the hospital. Last day of operation LLW class. Withdrawn from the Watford Way between Mill Hill Circus and Greyhound Hill. Rerouted instead via Mill Hill Broadway - Bunns Lane - Lyndhurst Avenue - Abbots Road - Eversfield Gardens ( return via Woodcroft Avenue ) - Watling Avenue - Montrose Avenue - Lanacre Avenue - Grahame Park Way and Aerodrome Road to Watford Way. Changeover point Hendon Central Station.